High Commissioner of Sri Lanka Noordeen Mohamed Shaheid has said that Sri Lanka and Pakistan have signed Free Trade Agreement (FTA) but some certain issues need to be resolved. He said the Agreement should be implemented and made beneficial for both countries. The High Commissioner said that Sri Lankan nation has great honour of Pakistan and learnt a lot from its experience. The Agreement should be implemented and made beneficial for both countries. He said that there is a vast scope for the expansion of two-way trade between Pakistan and Sri Lank. Both countries should introduce new products for trade and make business-to-business contacts stronger. He said that Sri Lanka offer huge opportunities in various sectors of the economy, the Nation reported. He was speaking at the Lahore Chamber of Commerce & Industry. The LCCI President Almas Hyder presented the address of welcome while Senior Vice President Khawaja Shahzad Nasir, Vice President Faheem-ur-Rehman Saigal also spoke on the occasion. Executive Committee members and former office-bearers were also present on the occasion. LCCI President Almas Hyder said that Sri Lanka is at take-off stage and Pakistani business community should avail this great opportunity. He said that Pakistan and Sri Lanka are members of SAARC and enjoy friendly relations based on historical linkages. He said that cooperation between two countries, especially in defence sector, has played a major role in further strengthening the mutual ties. He said that both the countries are steady trading partners. By way of signing the Free Trade Agreement in June 2005, the private sector representatives of Pakistan and Sri Lanka were provided with greater opportunities to take the trade and economic relations to the next level. He said that from 2005 on, there was a significant increase in bilateral trade but it is also a fact that we have so far not succeeded to fully exploit the existing potential of trade between two countries. He said that among the top importing and exporting countries for Pakistan, Sri Lanka comes at 43rd and 19th places respectively. The balance of trade is in favour of Pakistan and it is encouraging to see that bilateral trade figures are following increasing trends. The overall trade figures went up from $314 million to 372 million during 2016 and 2017. 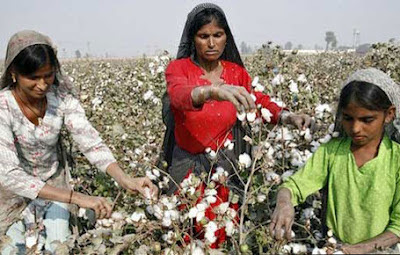 Pakistan is exporting cotton, pharmaceuticals, cement, rice, fertilizers and home textiles etc. to Sri Lanka. The imports from Sri Lanka are vessels for breaking up, vegetable products, fibre board of woods, natural rubber and fruits etc. Almas Hyder said that there is considerable demand in Sri Lanka for Pakistani products like light engineering goods, auto parts, industrial raw materials, surgical instruments and plastic goods etc. “We are in a position to easily tap the market demand of Sri Lanka in fields like sports goods, electrical fans and household appliances etc.”, he added and said that the business communities of the two countries should keep on exploring the opportunities of mutual interest. Business delegations composed of sector-specific participants or product-specific groups of entrepreneurs should be organized regularly.